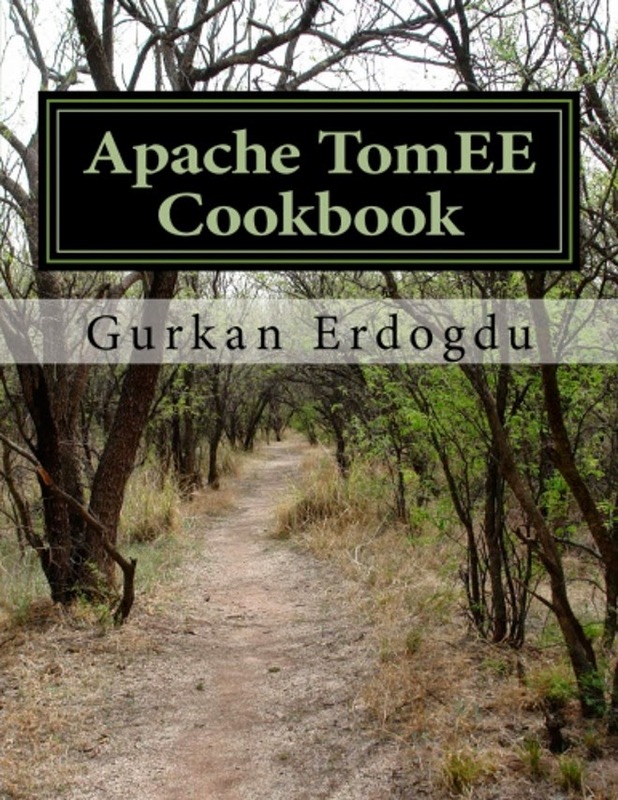 Blog of Gurkan Erdogdu: Apache TomEE Cookbook is Out! Apache TomEE Cookbook is Out! This cookbook is written for learning Apache TomEE internals by server administrators and Java EE developers. Administrators will learn how to configure TomEE for using it in a production environment. Developers will learn how to create web applications using the Java™ Platform, Enterprise Edition 6 (Java EE 6) technologies provided by TomEE runtime and to deploy these enterprise applications into TomEE. Currently Apache TomEE attracts lots of companies and developers who develop code in Java EE technologies. Moreover, number of "Cloud Providers & Server Hosting" companies which sells TomEE deployment is increasing every day. Although TomEE is getting very strong on technical side, there is no TomEE related book on the market. Like any other open source project, its documentation is not well designed and lack of containing lots of tiny important details (Lack of configuration details, not ordered & written like a technical book etc.). This is the reason why I wrote Apache TomEE Cookbook. Book is targeted for Java Enterprise Edition (Java EE) programmers and application server administrators using Apache TomEE in test and/or production environment. It is an all level experience book. Even an experienced TomEE administrator can benefit from the book. This book is written as a Cook Book. It provides collection of recipes how to configure and use TomEE application server easily even for the non-experienced users. Therefore, I want to name title as "Apache TomEE Cookbook". I started with installation and configuration of the TomEE. Then dive into the its components and their configurations. Provides information about Security, JNDI, Transactions, Clustering and some useful and unknown features like "Embedded Server, Clustering etc." I hope that this guide helps you for learning of TomEE secrets. Even if TomEE is an easy to use and powerful open source application server, documentation of the server is not well organized and complete. After reading this book, you will understand TomEE and its internal components. You can configure your own TomEE server easily after reading this book. This book also provides a very good information about other ASF Java EE Technologies including "Apache MyFaces, Apache OpenJPA, Apache OpenEJB, Apache BVAL" etc. You will understand how to configure these technologies within TomEE.